Just yesterday, I stumbled upon four supposedly leaked screenshots from the upcoming Super Smash Bros. game for the Nintendo Wii U and the Nintendo 3DS. The screenshots originated from a post on 4chan, which has since been deleted from the site. Currently, the authenticity of these screenshots is still in question. In fact, if you search the internet in regards to these screenshots, you’ll notice that many believe that the images are not genuine, but plenty of others believe otherwise. Taking in various viewpoints, as well as my own observations, I am fairly on the fence as far as whether I feel for sure that the screenshots are real or not. 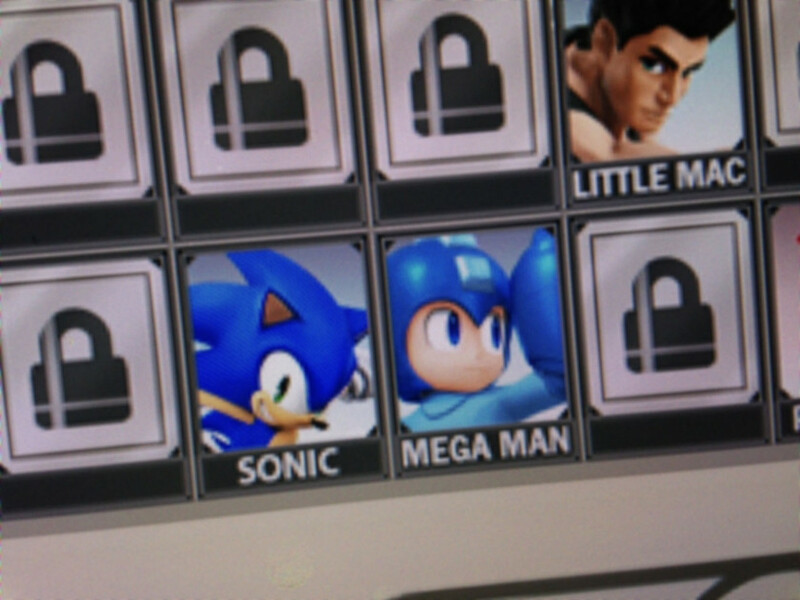 The screenshots themselves all feature sections of the supposed character-select screen for the upcoming game. The shots were not captured by the console itself, but were evidently taken at an angle of the screen. You’ll notice outright, not all of the characters have been unlocked yet and are not visible. Instead, their tiles are presented as locked pad-locks. 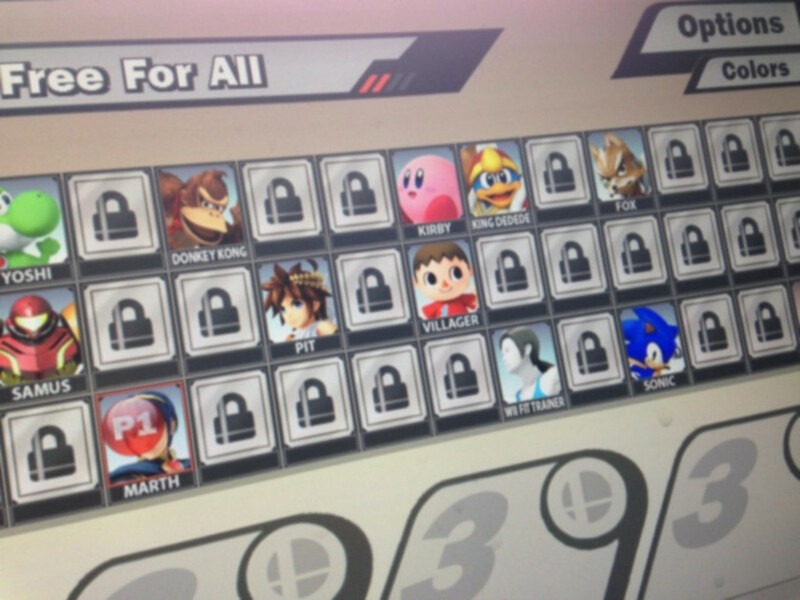 As for the characters that are unlocked, you’ll notice some familiar faces such as Yoshi and Kirby. You will also notice Mega Man and Wii Fit Trainer, who are both new to the Super Smash Bros. series, and who were both announced to be included in the upcoming game. 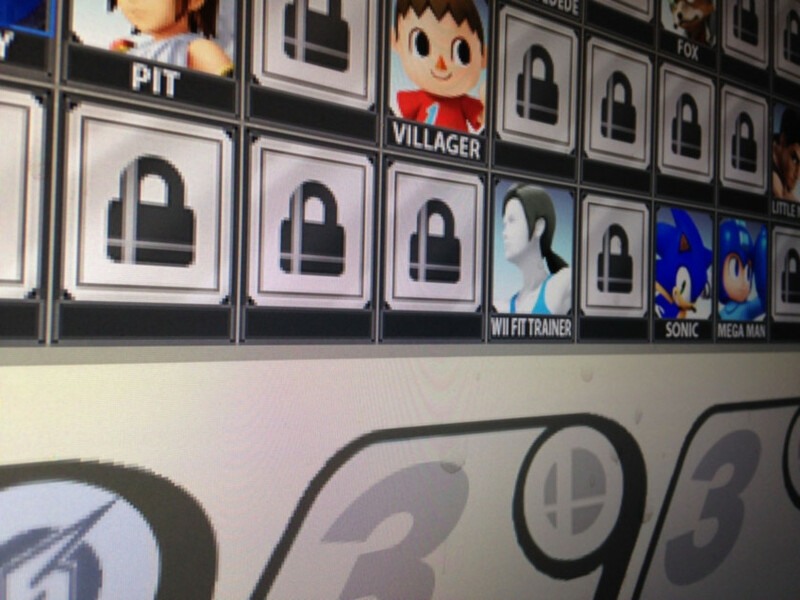 When observing these images, I recalled that there are supposed to be 50 characters in the next Super Smash Bros. game. At first, I thought the image looked strange because there were only three rows of characters, and 50 is not divisible by three (this would create uneven rows). 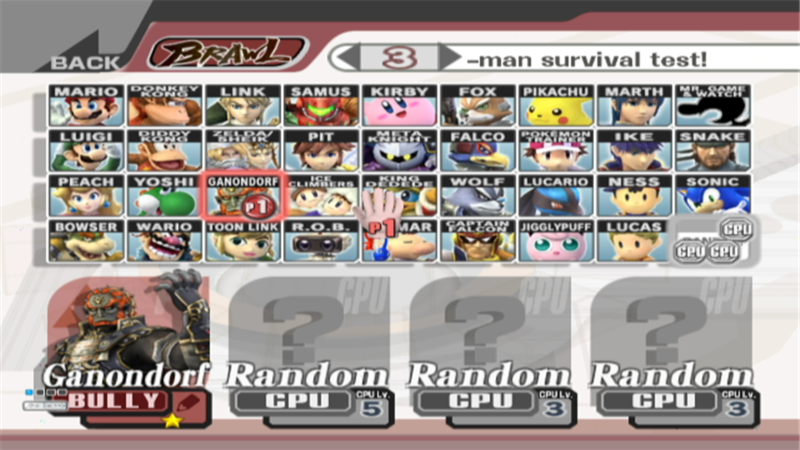 However, I then remembered that in Super Smash Bros. Brawl, there was a “Random Character” tile. With this tile accounted for, three rows with 17 characters in each row would definitely fit well for the character-select screen. Moving on, one character tile that caught my optic and the attention of many viewers was the tile that is placed to left of Pit in the middle row. The whole character-tile is not visible, but the name of the character seemingly ends in a “Y.” I thought that the character could be “Donkey,” as in “Donkey Kong,” but he is shown in the first row. The next idea I had, involved the hope that the character could be Ridley, from the Metroid series. After a quick search online, I noticed that others thought similarly! I am certainly hoping that Ridley would be featured in the new Super Smash Bros. game, but after a few seconds, I took a deep breath and tried to stir up some rationale as opposed to simply hopeful excitement. Ridley could very well be in the next Super Smash Bros. installment, but I have a doubt as to these images being legitimate. 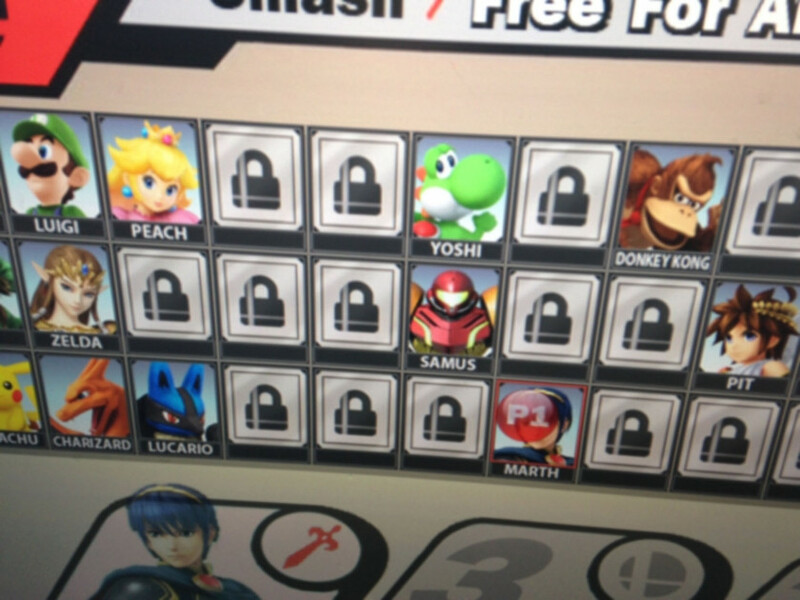 My doubt arises from how the characters are locked and unlocked. 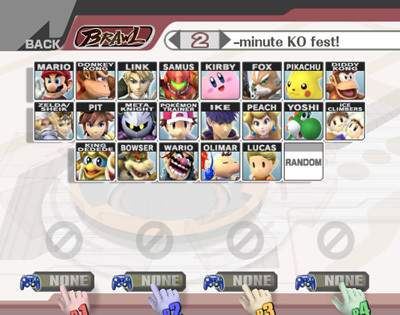 In all of the previous Super Smash Bros. games, the locked-characters tiles were usually always on the border of the of the tiles that were already unlocked. 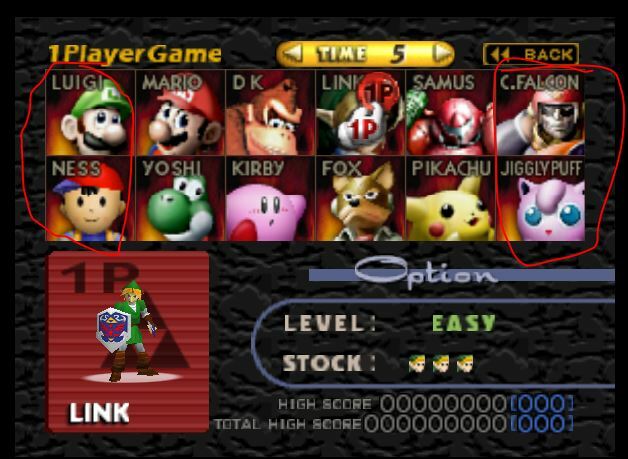 For example, in the first SSB game, Captain Falcon and Jiggly Puff were hidden/locked on the right, Luigi and Ness were hidden/locked on the left, and the rest of the characters were already unlocked in the middle. 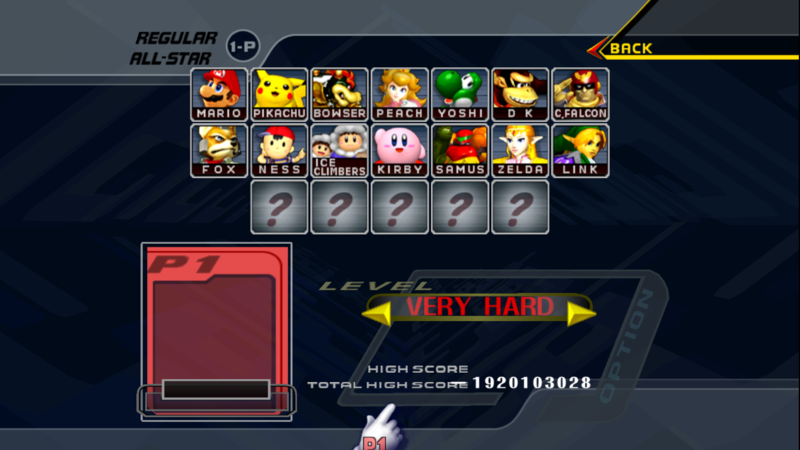 In Melee, characters that were hidden/locked were added onto the character-select screen below, to the left, and to the right of the characters that were unlocked by default. 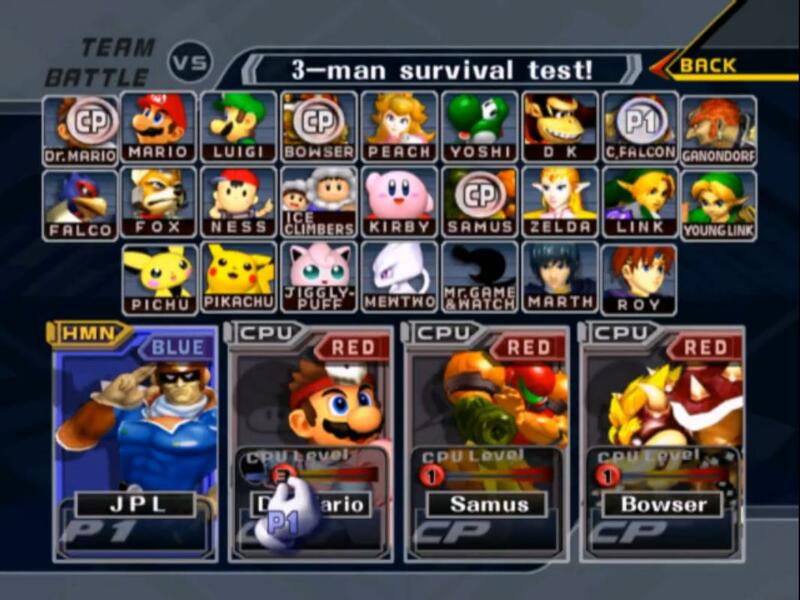 The same practice used in Melee was pretty much followed in Brawl, but not explicitly. I find it highly strange that the arrangement of locked and unlocked characters would totally change in this new installment to the Super Smash Bros. series. Not to mention, I find it pretty odd that Mega Man and the unidentified "Ends in Y" character are unlocked in some images, but not in others. I want to thank Vexx for reminding me of the oddness present in this respect. Even though I have reasonable doubt, I cannot say with certainty that these images are fake. The screenshots could be some form of a Beta-version of the game or characters were made to be hidden to tease the public. Either way, the authenticity of the images is still in question. I’ll be sure to add an update to this article should any final confirmations arise on the matter.